The presence of Neymar makes the home team much more stronger. Now, they have landed into the final of men’s football. So, a win will fetch them gold for the first time in the history of Olympics. In the history, Brazil got its most embarrassing defeat of all times against the same team at Maracana. Last time, both the teams met in the 2014 FIFA World Cup semifinal in which Germany won with a big margin of 7-1. It was an absolute nightmare for Brazil. Now, this is a complete different tournament. It’s an Olympic football U-23 event which allows playing with three over-age players. However, they will remember the previous defeats against the European side when they will come out to play them. The good thing for Brazil is that neither of the team has many players from the squad which they had for that unforgettable game. Matthias Ginter is with Germany this time too, while Neymar wasn’t a part of Brazilian team due to injury. There are no point to concern about Neymar. He is really capable turning the result of the game into the favor of his team if fires up his best. He has done it in the last two games with the hosts. If he does it again in the final, Germany will find it hard to tackle him. There will be more pressure of Brazil side to win the final match. Germans may take benenfit of this pressure on Brazil by taking advantage and find the best attacking range. Players like Serge Bnabry and Julian Brandt with youngsters will make every possible step to win the gold. Brazil failed to cope up with the pressure of winning at Rio 2016 in the first two games of the tournament. Then, Brazil defeated Colombia and Honduras by 2-0 and 6-0 respectively. The 6-0 win against Honduras was awesome. Neymar and Gabriel Jesus turned out to be the best ones and showed why the team counts on them. Moreover, Gabriel Barbosa and Luan showed their best game. The front four of the hosts are in a great form and ready to take up the challenge. 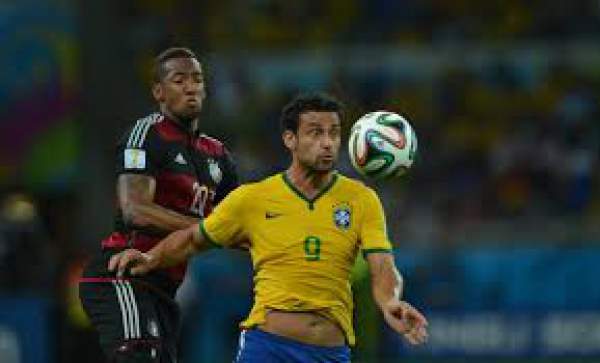 Bra vs Ger — men’s football gold medal match — will start at 5.30 p.m. local time (2 a.m. IST next day). Below is the complete information to watch it onlive for free and paid version. India: Star Sports. Brazil vs Germany Live Streaming: Hotstar. Brazil: TV: Fox Sports 1, SporTV, Globo and ESPN. Live Streaming: ESPN Play Latin America. Germany: TV: SRF Swei and ARD. UK: TV: BBC. Live Streaming: BBC iPlayer. USA: TV: NBCSN. Live Streaming: NBC Sports LiveExtra and NBC Olympics. Middle East and North Africa: TV: Bein Sports Arabia. Live Streaming: Bein Sports Connect. Brazil Probable Lineup (4-2-1-3 / 4-2-4 / 4-2-3-1):Weverton; Zeca, Rodrigo Caio, Marquinhos, Douglas Santos; Thiago Maia, Wallace; Neymar; Gabriel Jesus, Luan, Gabriel Barbosa. Germany Probable Lineup (4-2-3-1) : Timo Horn; Niklas Sule, Mathias Ginter, Lukas Klostermann, Jeremy Toljan; Lars Bender, Sven Bender; Julian Brandt, Max Meyer, Serge Gnabry; Nils Petersen.